The Recording Academy Producers & Engineers Wing 12th Annual Grammy Week Celebration Honoring Willie Nelson The Village Studios, 1616 Butler Avenue Wednesday, Feb. 6, 7 p.m. 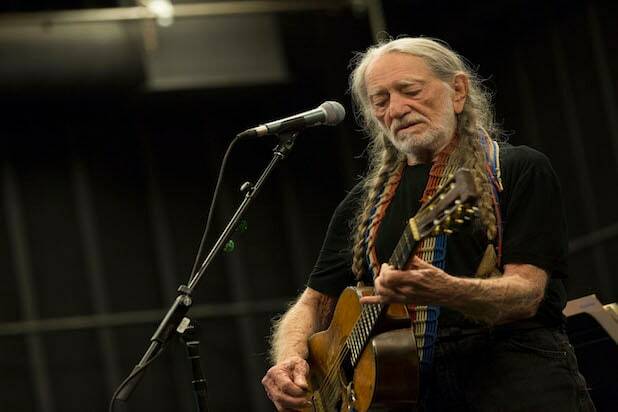 The spin: Willie Nelson joins an illustrious group of honorees (think everyone from Jerry Wexler and Quincy Jones to Neil Young and T-Bone Burnett). Marking 12 years of celebrating artistic achievement, this party draws crowds of the music industry's top power players. Billboard Celebrates 2018 Power 100 List Avra Beverly Hills, 233 N. Beverly Dr., Beverly Hills Thursday, Feb. 7, 6 p.m. The spin: Billboard's annual Power 100 List bash goes off early on Thursday, a first stop for a Thursday night packed with pre-Grammy parties. At this annual celebration, they honor the Power 100 Executive of the Year Award and give out the Clive Davis Visionary Award. 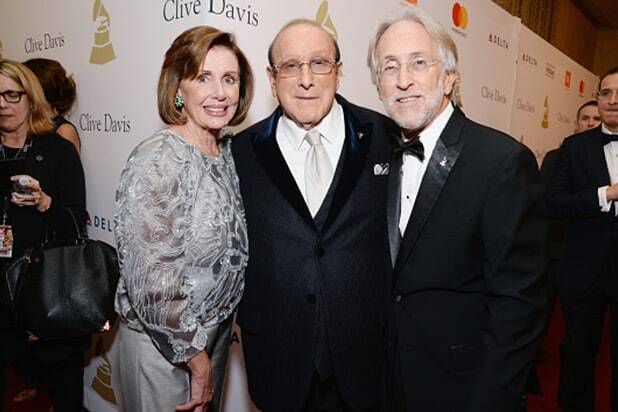 Clive Davis, that 86-year-old party animal, starts his weekend of celebrating the best in music here. Warner Music Group Pre-Grammy Celebration NoMad Hotel, 649 S. Olive St. Thursday, Feb. 7, 7:30 p.m. The spin: Just blocks from Staples Center at NoMad Hotel, this VIP-heavy bash is sponsored by Belvedere Vodka and Citi, with performances by Nipsy Hussle and Dua Lipa. Who'll be dancing in the crowd: Warner Music's stable includes Bebe Rexha, Blake Shelton, Cardi B, Janelle Monae, Kendrick Lamar, Kelly Clarkson and Kacey Musgraves, so expect some stars to glitter here. Mastercard Sensory Lab Grammy Week Edition Party Fred Segal on Sunset, 8500 Sunset Blvd. Thursday, Feb. 7, 6:30 p.m. The spin: Mastercard pops up with a "Sensory Lab" inside Fred Segal, featuring something called "sonic-themed Priceless experiences." Whatever that means, we do know that rapper Super Duper Kyle is set to perform at the launch party, DJ Mick will add to the sound mix and Linkin Park's Mike Shinoda is also on tap. Expect a curated collection of merchandise specially created for the Sensory Lab, by Complex by Joe Freshgoods x Super Duper Kyle, only available if you whip out your Mastercard. Spotify Best New Artist Party Hammer Museum, 10899 Wilshire Blvd. Thursday, Feb. 7, 7 p.m., music begins at 8 p.m. The spin: Spotify's event at the Hammer Museum on Thursday night features six of eight Best New Artist nominees performing live in the atrium. Snag this invite and you'll see Jorja Smith, Dua Lipa, Margo Price, Bebe Rexha, H.E.R. and sisters Chloe x Halle. Spotify's also teasing more special performances and reminding invitees to dress warmly, as the Hammer's party space is outside. Janelle Monae x Instagram Host "Fem the Future" Brunch Ysabel, 945 N. Fairfax Ave. Friday, Feb. 8, 12 p.m. to 3 p.m. The spin: The Archandroid herself hosts this afternoon fete honoring all the women nominated for Grammys in 2019. The Ysabel's Virgin Mother Mary cocktail will keep them clearheaded while they chow down on buttermilk pancakes. Or maybe not, with all those traditional skin-baring Grammy Awards outfits to slide into on Sunday afternoon. 2019 MusicCares Person of the Year Tribute Honoring Dolly Parton Los Angeles Convention Center, West Hall, 1201 S. Figueroa St. Friday, Feb. 8, 5 p.m. The spin: Eexpect everyone who's anyone to be at the MusicCares Person of the Year Tribute to Dolly Parton. Who doesn't love Dolly, right? The party features Miley Cyrus, Katy Perry, Garth Brooks and Trisha Yearwood, Norah Jones, Vince Gill, Mavis Staples, P!nk, Willie Nelson and even more. The star-studded bash supports the MusicCares org, which helps music industry members stay afloat in times of need. Friends N' Family Pre-Grammy Party Quixote Studios, 1011 Fuller Ave., WeHo Friday, Feb. 8, 9 p.m. to 2 a.m. The spin: Grab a flute of Veuve Cliquot or a snifter of The Macallen at the 22nd Annual Friends N' Family pre-Grammy party and start dancing while Samantha Ronson DJs along with appearances by other performers. Expect to see Sofi Tucker, Grades, Mike Spinella, Elohim and Elderbrook before the night is over. Who'll be dancing the night away: Music company pals from all the big players – from BMI and Disney Music Group to Warner/Chapell, Atlantic Records and more – reveling in the way that their talented musicians continue to ignite the imaginations of the world. GBK Presents the 2019 Pre-Grammy Luxury Gifting Lounge W Hotel Westwood, 930 Hilgard Ave. Friday, Friday, Feb. 8, 6 p.m. to 9 p.m. cocktails and Saturday, Feb. 9, 12 p.m. to 6 p.m. The spin: GBK (and impresario Gavin Keilly) always have something special to lure top-name celebrities to their gifting suites, with luxury items ranging from diamonds and watches to exotic vacations. His Grammy gifting suites always have high-end audio offerings ranging from the hottest new headphones to cool Bluetooth speakers, too, all served up with premium cocktails and wines. Past years have lured Grammy winners and nominees alike, including Lalah Hathaway, Ledisi, Antonique Smith and Manny Marroquin, so there's sure to be some celebrity wattage on this top swag scene this year. 8th Annual Music Managers Brunch LP Rooftop, 603 N. La Cienega Blvd. Saturday, Feb. 9, 10 a.m. to 2 p.m. The spin: The eighth year of the Music Managers Brunch is hosted by Blue Williams of Family Tree. The bash honors managers for their contributions to their clients' success. Williams is also spearheading and celebrating the launch of BEMMA, the Black Entertainment Managers & Agents Association. Ludacris, Jermaine Dupri, Bow Wow and Nick Cannon are expected to be there. Los Angeles Nominee Celebration Delilah, 7969 Santa Monica Blvd., WeHo Saturday, Feb. 9, 11 a.m. The spin: This year's Grammy nominees gather for an afternoon of glad-handing and back-patting at this annual bash hosted by the Recording Academy Los Angeles Chapter. Perennial nominee (and winner, too) Weird Al Yankovic leads the pack, with Pete Wentz, Linda Perry, Ledisi and a host of other musical stars expected to stop by. 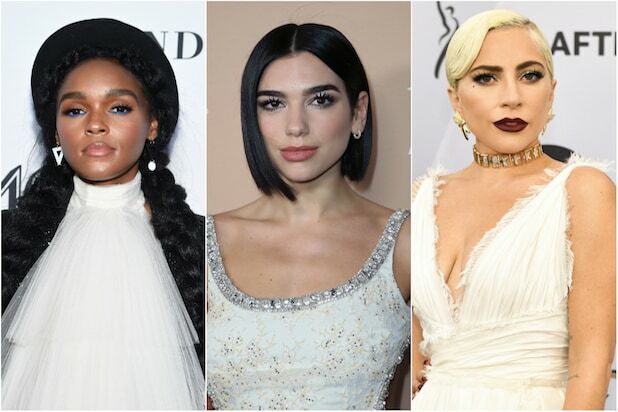 The 2019 Pre-Grammy Gala Beverly Hilton Hotel Saturday, Feb. 9, 6 p.m. The spin: The annual Pre-Grammy Gala hosted by Clive Davis and The Recording Academy returns to the Beverly Hilton. Famed music manager Clarence Avant will receive the 2019 Grammy Salute to Industry Icons award. Avant's clients have ranged from Freda Payne and Lalo Schifrin to Kenneth "Babyface" Edmunds and L.A. Reid. Expect a star-studded evening at this exclusive bash. Janie's Fund Viewing Party Hosted by Steven Tyler Raleigh Studios, 5300 Melrose Avenue Sunday, Feb. 10, 5 p.m. to 10 p.m. The spin: For those not nominated, Steven Tyler has an alternative to watching the show at home in your pajamas. Get dolled up and head over to his Janie's Fund Viewing Party, where Tyler and Aerosmith will perform, Jane Lynch will host and proceeds go to the Janie's Fund, created by Tyler to aid abused girls. Tickets start at $2,500 and go up from there. Universal Music Group After Party The Row, 777 Alameda St. Sunday, Feb. 10, 8:30 p.m. The spin: UMG has five of the eight nominees in the top "Record of the Year" category. If Drake, Lady Gaga, Bradley Cooper, Kendrick Lamar, Post Malone, or Zedd take home the golden gramophone, you could see them celebrating with it here.